Something is rotten in the Port of Tacoma. His name is Deano McGrath. 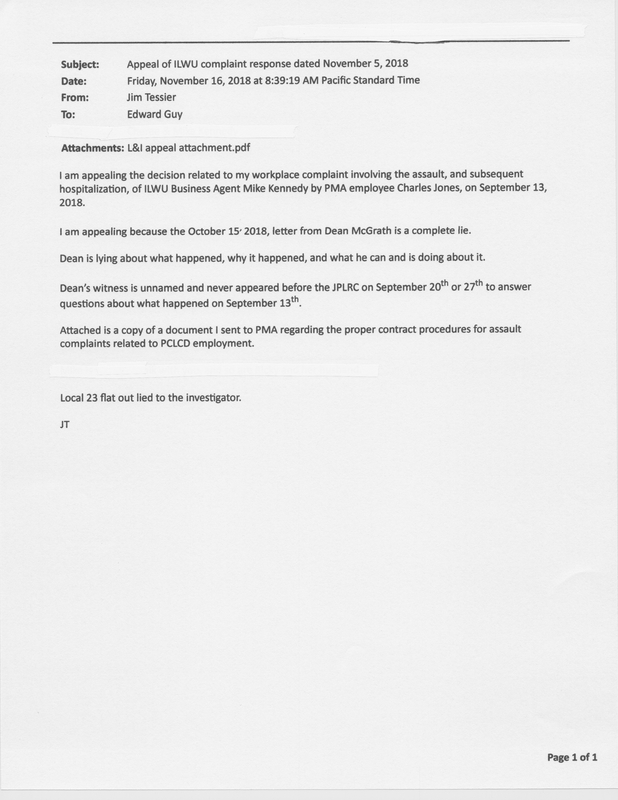 Deano is about to find out that lying about what happened on September 13, 2018, has far more serious consequences than failing to report the hospitalization of an employee as required by WAC 296-800-32005. 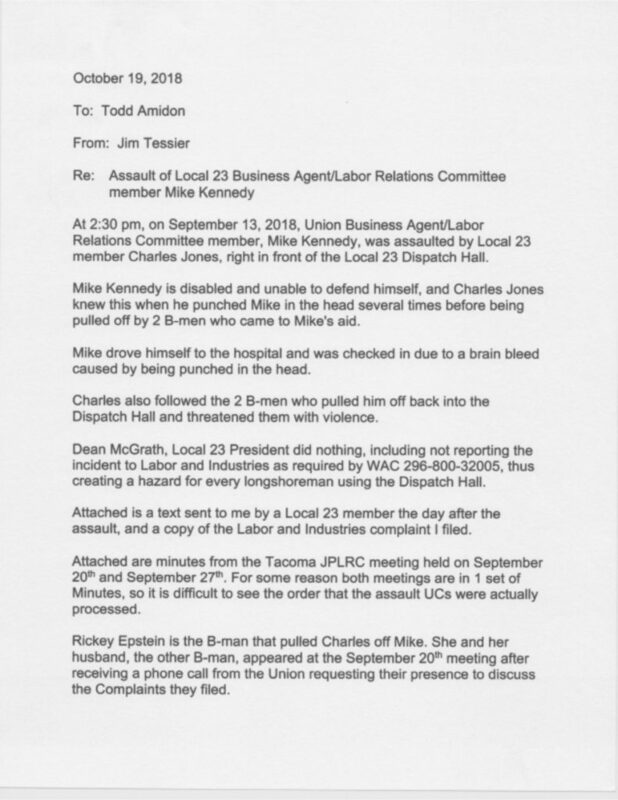 During the investigation, Deano flat out lied about what happened on September, 13, 2018, when Charles Jones assaulted Local 23 Business Agent/Labor Relations Representative Mike Kennedy right outside the dispatch hall. Here is my appeal of the November 5, 2018, letter from L&I. 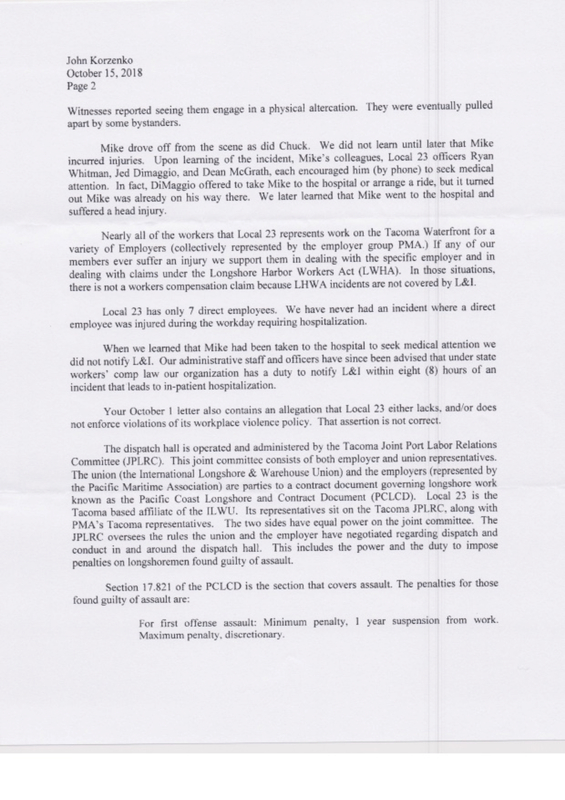 Or for those who prefer PDF; Appeal of ILWU complaint response dated November 5, 2018. Here is the letter full of lies that Deano sent to the L&I investigator. 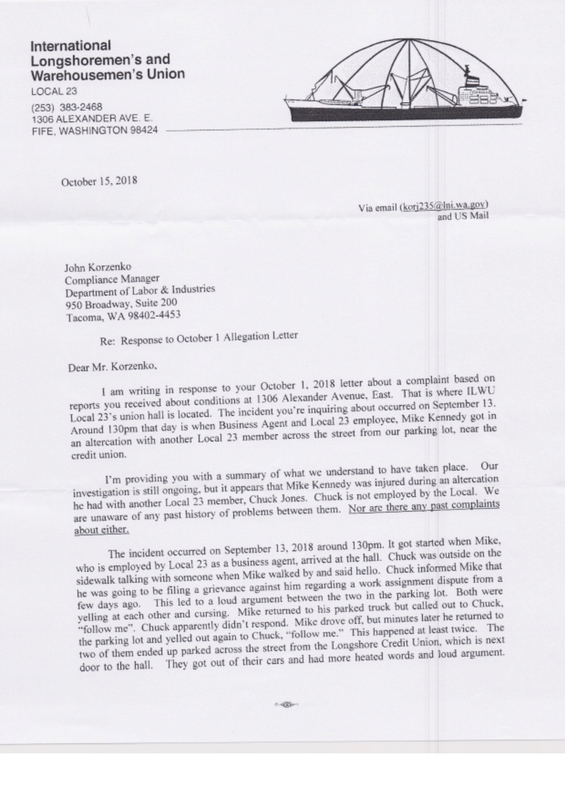 Or for those who prefer PDF; Deano 10-15-18 response to L&I. 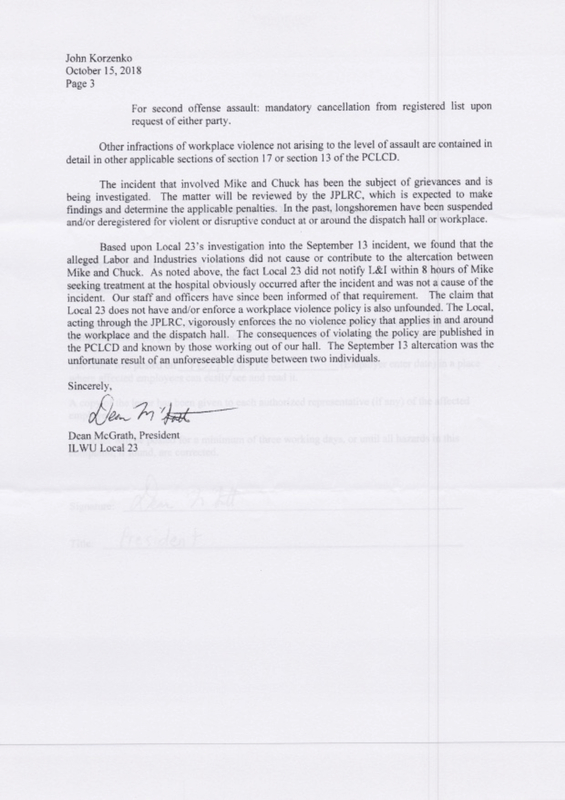 What, if anything, is L&I going to do about Deano lying to a safety investigator? When I find out, I’ll let you know.